My class will be an open space for dancers to learn and grow in the style of jazz. The goal of the class will be to provide dancers with new and exciting experiences and for them to improve upon their skills. I want every class to be an opportunity for each student to learn one new thing or make an improvement in one aspect of their dancing while still having a lot of fun. An expensive history in jazz would be helpful when taking the class. What is your favourite part about QDC? There are many aspects to QDC that I enjoy but my favourite must by the opportunity it provides to share in an art form we all love. QDC offers an open space to reach beyond your comfort zone and try new things. It also provides you with a place where there are people who share the same love of dance. 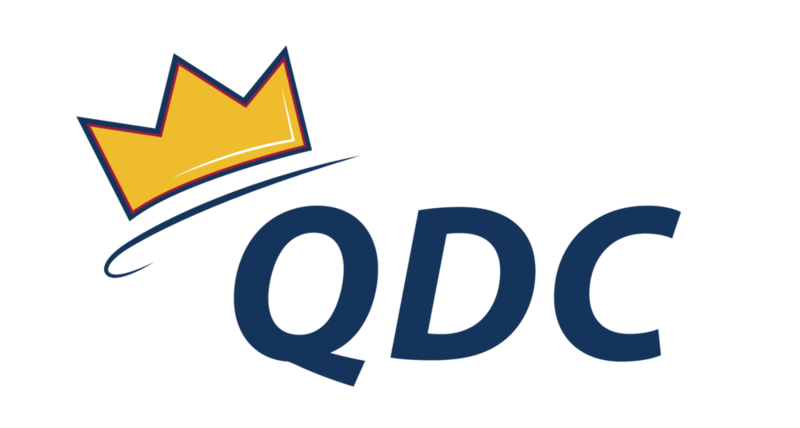 QDC is an amazing environment filled with people who want to learn and grow and also want to see you do the same. This is why my favourite part of QDC is the amazing environment that it provides. What does dance mean to you? Dance means so much to me. I have been dancing since the age of three and haven't stopped. I can’t remember a time when I wasn't dancing. Dancing is my favourite thing to do and makes me feel better when I have had a bad day. The ability to create and explore movement is an irreplaceable feeling that only dance provides. Dance is something that I have always and will always love to do. Favourite Netflix TV show: My favourite binge-worthy show on Netflix is Black Mirror. I spend to much time rewatching all the episodes. Favourite place to travel: My favourite place to travel to is Paris. I went here when I was in grade 12 and I will never forget how amazing the city was. I have trained competitively in dance since the age of 4. I trained in the genres of Lyrical, Contemporary, Jazz, Hip hop, Acro and Ballet. I danced a Sean Boutilier Academy of Dance. I have completed up to my Intermediate ballet exam. I was also apart of team Canada for dance where I competed in Germany. Check out some of Sydney's moves to see if Advanced Jazz is right for you!